God has not created a tiny materials both living or non living that don’t have some importance. 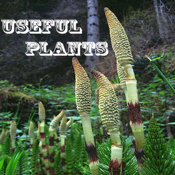 This application “Useful Plants” has been designed in such a way that plants and nature lover will definitely enjoy it. Customer will get almost 100% satisfaction, he will get additional knowledge of the origin, Scientific name and importance of particular plants. Most natural flora having wild species and are usually ignored by the human. Thus getting this application will realize the importance of wild and forest plants for human beings.